Chicago Pneumatic Grinders are designed with the physical and mental well-being of operators in mind. The goal being to increase productivity levels across all work stations. 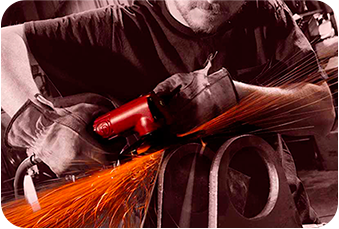 Chicago Pneumatic Grinders are both powerful and lightweight which results in reduced operator fatigue. With a wide range of styles, options, and configurations available, Chicago Pneumatic has your grinder needs covered.